So apparently, going out four nights in a row is something I can’t do anymore without just wanting to curl up and sleep for a week afterwards. Today, therefore, will be filled with naps, books, tea and possible catching up on a few reviews. I haven’t been feeling like writing reviews much for a while, but today might actually be that day. Sounds like a perfect day to me. Enjoy! 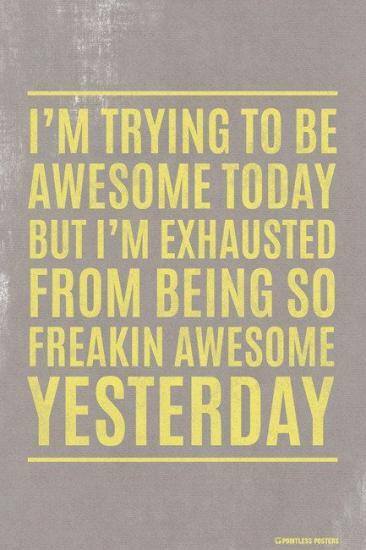 You earned it for much awesomeness. I feel much less cranky already!